To help your student group experience what this Northeastern city’s culture and lifestyle are really like, consider these five picks for Boston’s overlooked hidden gems. After you and your student group have visited all the must-see sights and attractions that Boston is most known for, take your trip to the next level and discover the neighborhoods, monuments and museums that help shape the city’s character. Although these picks may be lesser-known, they are sure to delight both you and your group with their uniqueness and local feel. Below are our top five recommendations of up and coming sights and activities for travelers who want a Boston experience unlike any other. Students will feel like they truly stepped back in time when they walk the narrow, cobblestoned streets of Boston’s oldest neighborhood, the North End. 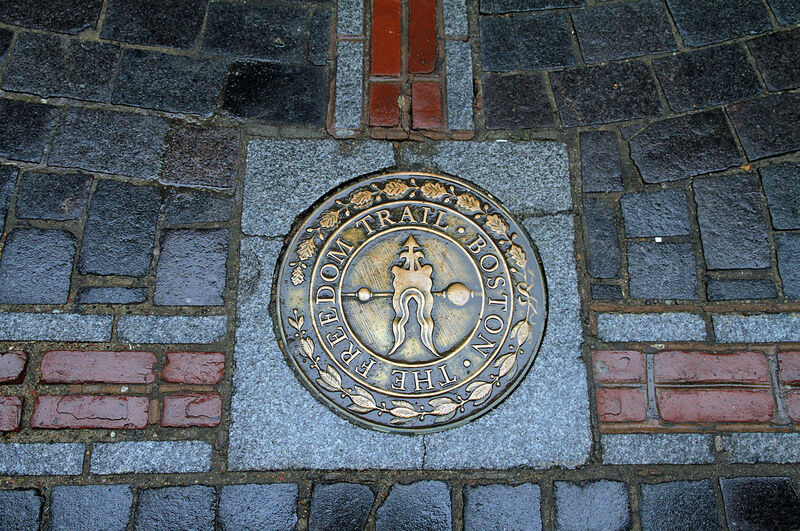 Home to many of the historic sites found on the Freedom Trail, this traditional neighborhood is a popular spot for locals due to the lasting influence from its Italian immigrants. Visitors are drawn to the streets lined with authentic Italian eateries, cafés, bakeries and pastry shops. If you are lucky enough to visit during the summer, make sure to catch one of the neighborhood’s famous Italian feasts in which processions of religious societies celebrate their Italian roots and heritage with song, costume and dance. For more information and to see what other events are coming to the area, visit the North End’s website. 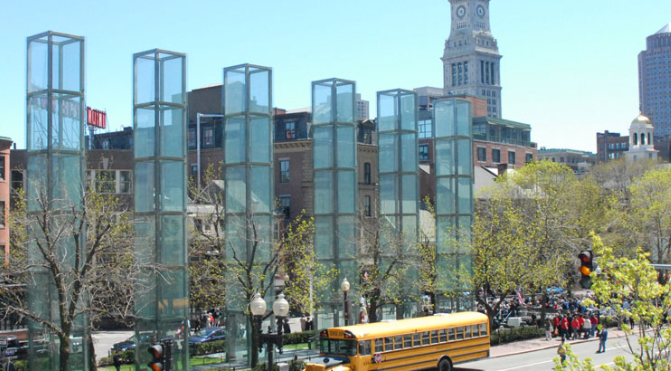 Engage students with 20th-century history and visit the New England Holocaust Memorial in Carmen Park, near Faneuil Hall. This monument, consisting of six symbolic glass towers, serves to remind visitors of the horrors of the mass genocide in Europe during WWII. The towers are said to represent the six million Jews killed during the Holocaust; the number of years of the “Final Solution,” the deadliest phase of the Holocaust; and six major concentration camps – Majdanek, Sobibor, Chelmno, Belzec and Auschwitz-Birkenau. As guests walk underneath these towers, they can read historical facts and survivor statements inscribed on the glass walls and feel the steam rising from the metal grates below, meant to recall the Nazi method of mass extermination. Although the monument is always open to the public, groups of 10 or more can reserve speakers and tour guides here, free of charge. 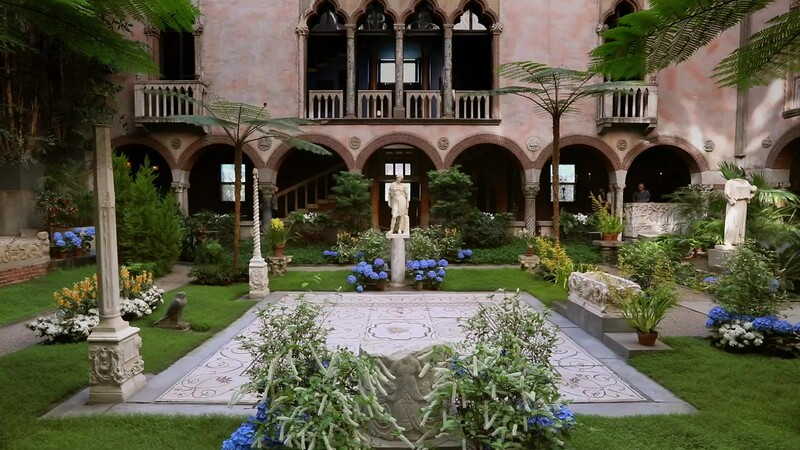 When prominent and influential art collector Isabella Stewart Gardner passed away, she gifted the city of Boston and its residents with access to her private collection “for the education and enjoyment of the public forever.” Today her pride and joy, the Isabella Stewart Gardner Museum, retains its prestige, Venetian palazzo architecture and the original layout of the collection from the time of her death, per her request. Despite the scandalous theft of 13 invaluable works in 1990 that remains the biggest unsolved art theft in history, the museum is proud to boast works by Rembrandt, Vermeer, Manet, Degas and Velazquez as well as priceless sculptures, tapestries, furniture and rare books. Continuing a tradition that began with the Boston Symphony Orchestra at the 1903 opening, the museum often combines its collection with the visual and performing arts through live concerts and lectures. The crown jewel of the museum, however, has to be the interior courtyard garden. Built with columns, windows and doorways inspired by Italian architecture, the garden harmoniously blends Roman, Byzantine, Gothic and Renaissance influences. The plants in the garden are maintained by greenhouse staff that transforms the space year-round into nine different seasonal displays. To encourage public attendance, the museum offers art and music programs, community engagement initiatives and discounted admission for students. To learn more about the museum’s history and hours of operation, head over to its website. Opt for a change of scenery and plan a day trip for your group to one of the 34 Boston Harbor Islands. Located just minutes from the Massachusetts shoreline and accessible by car or public ferry, these islands provide an escape from the urban intensity of downtown Boston and a space for outdoor activities and exploration. The majority of the islands are group-friendly and just ask that groups larger than 25 people obtain group authorization beforehand through this form. Each island offers something unique, so group leaders can plan their visit around the interests of the students or purpose of the trip. Many of the islands have trails for a range of experience levels. Spectacle Island, for example, offers five miles of scenic hiking trails and a public beach. Georges Island is best for picnicking with two shaded picnic spots; on-site catering and boxed lunches are available. For an overnight outdoor experience under the stars, Peddocks Island has campsites and yurts visitors can reserve. Many of the islands offer scenic views of the harbor and city skyline, fishing spots and group volunteering opportunities. 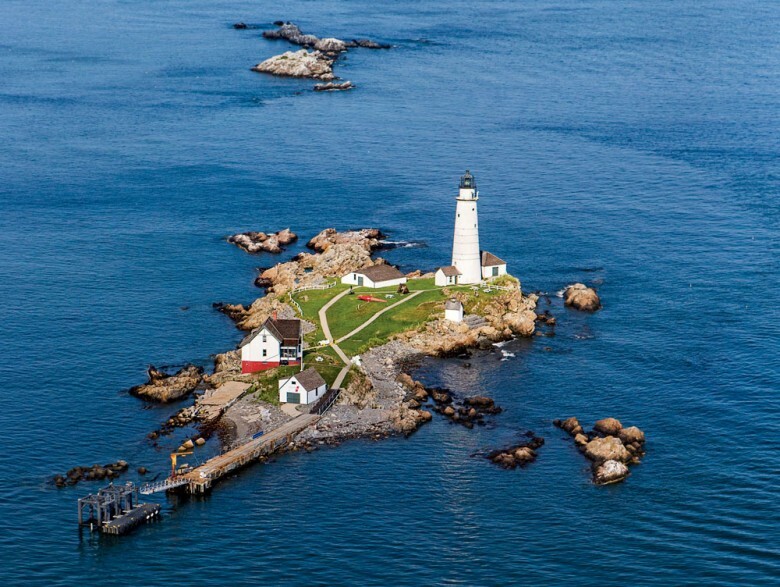 Students can explore Fort Warren on Georges Island, a former Civil War POW fort and WWII control center, or hop a cruise for a two-hour tour of three historic lighthouses – Long Island Light, Graves Light and Boston Light. The park service offers free curriculum materials to enhance students’ experience on the islands. Travel south of Washington Street and enter into the world of SoWa Art + Design District, praised by USA Today as the country’s second – best art district. Visitors will quickly learn why by walking through the neighborhood’s streets of art studios and galleries, vibrant shops, eclectic restaurants and trendy fitness studios. 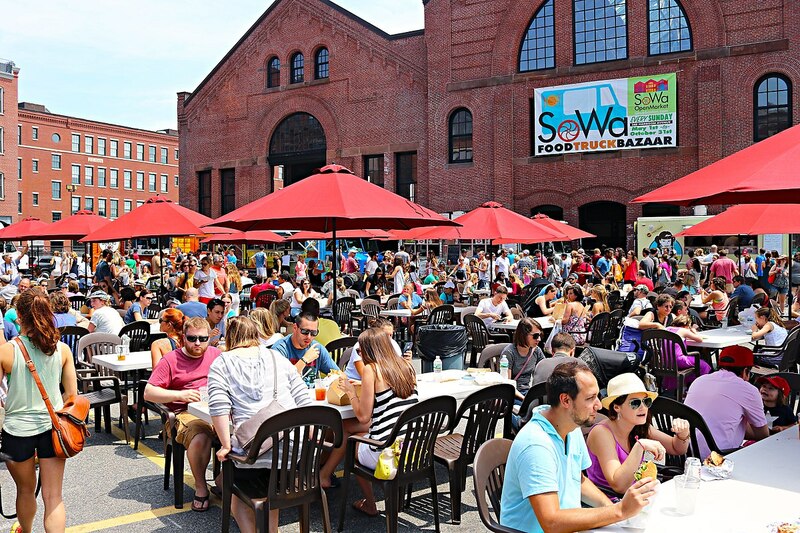 Although SoWa is a worthwhile destination any day of the week, locals and art aficionados know how to time their outings around the district’s popular events. The first Friday evening of every month, over 200 art galleries participate in a gallery hop, appropriately named First Fridays, and showcase rising artists, new exhibitions and a taste of the neighborhood’s culture. On Sundays in the summer, the district transforms itself for its Open Market, which features stalls of pieces crafted by local artisans, vintage boutiques, farmers’ produce, food trucks and musicians. To learn what else is happening in this lively neighborhood, check out the SoWa website.